ENS is a leading French institution dedicated to advancing research and academia across disciplines. The institution was originally conceived during the French Revolution to educate new generations of teachers trained in the ways of the Enlightenment. 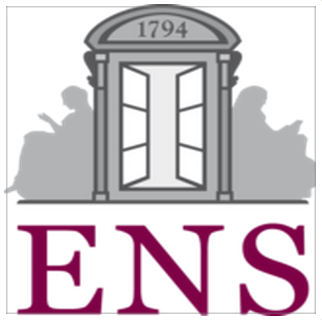 ENS has since developed into an elite university fostering interest, talent and careers academia, research, and graduate level study within two broad subject areas: Sciences and Humanities. It’s renowned for hosting some of the brightest minds (for instance, the father of vaccines, Louis Pasteur! ), advancing Nobel Prize-winning research, and contributing to modern day French ideals. ENS will launch its offerings this coming spring, with three initial courses covering the topics of Philosophy, Mathematics and Physics. The first two, “Les problèmes métaphysiques à l’épreuve de la politique, 1943-1968” led by Professors Marc Crépon and Frédéric Worms and “Introduction à la théorie de Galois” led by Professors Olivier Debarre and Yves Laszlo, will be taught in French. The final course, “Statistical Mechanics: Algorithms and Computation,” will be taught in English by Werner Krauth. You can see and sign up for ENS courses here. HEC Paris is the first Business School in France to join Coursera. This institution, founded in 1881 by the Paris Chamber of Commerce and Industry and an associate member of ParisTech, is ranked among the top business schools in the world and offers renowned graduate education and research in the areas of management, technology, law and policy. 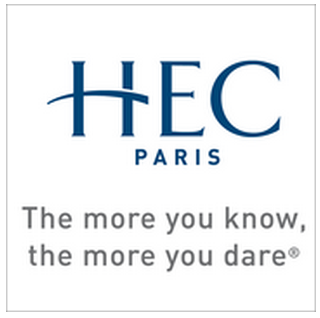 HEC Paris hosts 110 professors and serves more than 4,000 students and 8,500 executives in training each year. We look forward to HEC joining our growing category of business and management offerings, which can help students across the world gain knowledge and skills to apply toward their careers. HEC’s course offerings will begin in early 2014, and will include two initial courses, “Understanding Europe – why it matters and what it can offer you,” led by Professor Alberto Alemanno, and “Evaluation financière de l’entreprise” led by Professor Pascal Quiry. The former, taught in English, will introduce students to the European Union, how it works and why it matters in daily life and business. The latter, taught in French, will delve into the topic of company valuation, discussing the elements of a business that contribute toward its financial evaluation. HEC will be tailoring these traditional courses to take advantage of Coursera’s platform, online learning functionality, and global community of learners. To see and enroll in HEC courses, click here. Coursera is thrilled and delighted to have both ENS and HEC join our family!